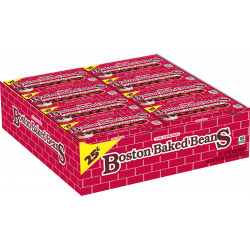 Ferrara Pan There are 21 products. 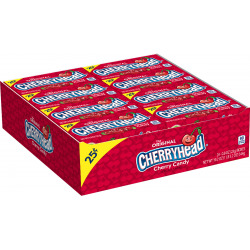 Ferrara Pan Cherry Head, Cherry Flavor fruit candy, made with real fruit juice. Ferrara Pan Grape Head, Grape Flavor fruit candy, made with real fruit juice. Ferrara Pan Chewy Lemon Head Fruit Mix, assorted fruit flavor candy, made with real fruit juice. Ferrara Pan Chewy Lemon Head Tropical, Lemon Flavor fruit candy, made with real fruit juice. 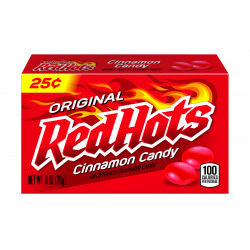 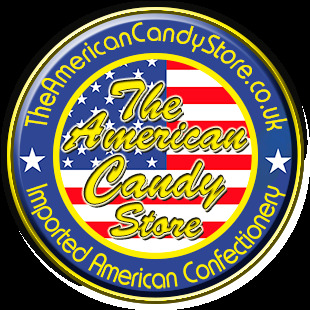 Ferrara Pan Chewy Lemon Head Redrific, assorted fruit flavor candy, made with real fruit juice. 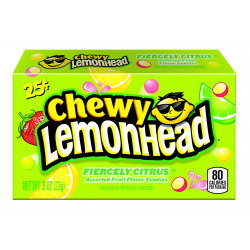 Ferrara Pan Chewy Lemon Head Fiercely Citrus, assorted fruit flavor candy, made with real fruit juice. 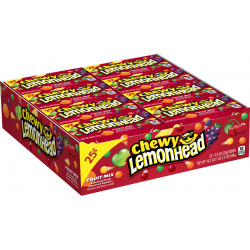 Ferrara Pan Chewy Berry Awesome Lemonhead Theatre Box, assorted fruit flavor candy, made with real fruit juice.